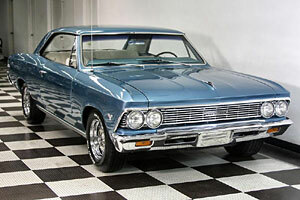 1966 CHEVELLE, NEW LISTING!!!!! THIS CAR IS A BEAUTIFUL TEAL BLUE WITH A NEW WHITE BUCKET INTERIOR. Very pretty color combination. The car was recently completed by the well-known Muscle Car Garage. The car has beautiful new paint over a very clean and solid metal body. 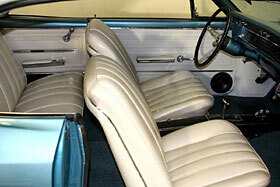 The car is an Arizona car that has never been affected by any rust or salt issues. The white bucket interior is brand new, clean and crisp. 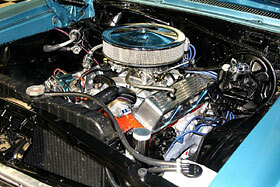 The 66 Chevelle Malibu is powered by a fresh 350ci engine that purrs like a kitten. This amazing car comes optioned with a factor tilt steering wheel, power steering and a new disc brake conversion on the front. The car was an original AC car but is missing the compressor, and a few parts. Most of the chrome and stainless is new or in very good condition. The glass is also in great condition. The car is rolling on brand-new chrome rally rims and would look great in your garage.